“Whatever your opinion of this woman is, she is a force in American politics”. The presentation of the publishers : One year ago, Sarah Palin burst onto the national political stage like a comet. Yet even now, few Americans know who this remarkable woman really is. As chief executive of America’s largest state, she had built a record as a reformer who cast aside politics-as-usual and pushed through changes other politicians only talked about: Energy independence. Ethics reform. And the biggest private sector infrastructure project in U.S. history. While revitalizing public school funding and ensuring the state met its responsibilities to seniors and Alaska Native populations, Palin also beat the political “good ol’ boys club” at their own game and brought Big Oil to heel. Like her GOP running mate, John McCain, Palin wasn’t a packaged and over-produced “candidate.” She was a Main Street American woman: a working mom, wife of a blue collar union man, and mother of five children, the eldest of whom was serving his country in a yearlong deployment in Iraq and the youngest, an infant with special needs. Palin’s hometown story touched a populist nerve, rallying hundreds of thousands of ordinary Americans to the GOP ticket. 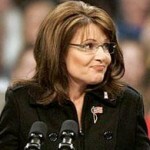 But as the campaign unfolded, Palin became a lightning rod for both praise and criticism. Supporters called her “refreshing,” “honest,” a kitchen-table public servant they felt would fight for their interests. Opponents derided her as a wide-eyed Pollyanna unprepared for national leadership. But none of them knew the real Sarah Palin. In this eagerly anticipated memoir, Palin paints an intimate portrait of growing up in the wilds of Alaska; meeting her lifelong love; her decision to enter politics; the importance of faith and family; and the unique joys and trials of life as a high-profile working mother. She also opens up for the first time about the 2008 presidential race, providing a rare, mom’s-eye view of high-stakes national politics - from patriots dedicated to “Country First” to slick politicos bent on winning at any cost. Going Rogue traces one ordinary citizen’s extraordinary journey, and imparts Palin’s vision of a way forward for America and her unfailing hope in the greatest nation on earth. Going Rogue…is part cagey spin, part earnest autobiography, part payback hit job. And its most compelling sections deal not with politics but with Ms. Palin’s life in Alaska and her family…she does a lively job of conveying the frontier feel of the 49th state, where television broadcasts were tape-delayed in her youth and they shopped for clothes “via mail order through the Sears catalog,” where “we don’t have big-league professional sports teams or many celebrities (except famous dog mushers),” and so regard politics as a local sport. Inching through rivers of people with Trig, our four-month-old son, cradled in my arms, I zigzagged from booth to booth, from driftwood art to honeybee keeping to home-brewed salmon-berry wine. Bristol and Willow, our teenage daughters, roamed ahead with friends, heads together, laughing, thumbs tapping cell phones. Piper, seven, my constant sidekick since the moment she was born, bounced along at my hip, pinching off fluffs of cotton candy, her reward for patiently accommodating my stop-and-go progress through the crowd. For the most part, she was comfortable watching the grip-and-grin photos and hearing the friendly chitchat with constituents that I enjoyed as part of my job as governor of the state. Every few moments, I pulled my right arm free from baby duty to shake hands with folks who wanted to say hello. “That’s you, baby,” I whispered to Piper, as I have every year since she smiled for the picture as an infant. She popped another cloud of cotton candy into her mouth and looked nonchalant: Still the pro-life poster child at the State Fair. Ho-hum. From inside the booth, a very nice volunteer caught my glance, so I tucked my head inside, shook hands, and thanked the gracious ladies who put up with the jeers of those who always protested the display. With their passion and sincerity, the ladies typified the difference between principles and politics. As I signed the visitors’ book, I saw Piper’s picture again on the counter and became annoyed at my own annoyance. I still hadn’t learned to accept the fact that political machines twist and distort public service-and that, a lot of times, very little they do makes any sense. From what I could see from my position in the center of the state, the capital of Juneau seemed stocked mainly with “good ol’ boys” who lunched with oil company executives and cut fat-cat deals behind closed doors. Like most Alaskans, I could see that the votes of many lawmakers lined up conveniently with what was best for Big Oil, sometimes to the detriment of their own constituents. When oil began flowing from Prudhoe Bay in 1977, billions of dollars flowed into state coffers with it. The state raked in more revenue than anyone could have imagined-billions of dollars almost overnight! And the politicians spent it. Government grew rapidly. One quarter of our workforce was employed by state and local governments, and even more was tied to the state budget through contracts and subsidies. Everyone knew there was a certain amount of back-scratching going on. But an economic crash in the 1980s collapsed the oil boom. Businesses closed and unemployment soared. An American Life. Copyright (c) by Sarah Palin . Reprinted by permission of HarperCollins Publishers, Inc. All rights reserved. Available now wherever books are sold. Cet article a été posté le 10 mai 2010, 20 h 42 min sous la catégorie Livres : Géopolitique & géostratégie. Vous pouvez suivre les réponses à cet article via RSS 2.0. Les commentaires ne sont pas autorisés, mais vous pouvez mettre unrétrolien depuis votre site.